Tottenham Hotspur midfielder Dele Alli has warned people not to rule teammate Harry Kane out of the race for the Golden Boot this season, with the striker still in the hunt for his third consecutive award. Kane is currently sitting five goals behind Mohamed Salah in the goalscoring charts, but Alli insists that the England international could win the award by replicating the same form he showed at the end of last season - when he scored eight goals in three games. 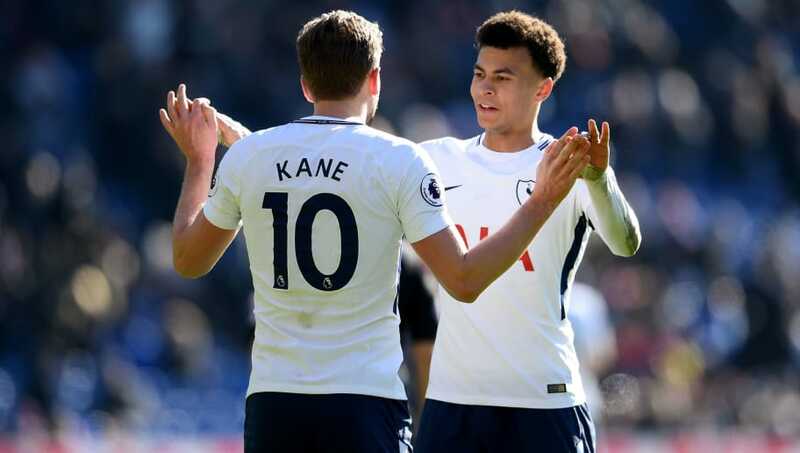 Alli also wanted to defend his ​Tottenham teammate after Kane became a walking meme for claiming that he got the final touch on the winning goal against ​Stoke City last week; something which has been used as a light-hearted joke across the footballing world. "I think Harry is an unbelievable striker and he touched it, so it is his goal," Alli said after Saturday's defeat to ​Manchester City, quoted by the Mirror. "Every striker would and should claim it if it is his goal. If it was me and I touched it, I would claim it as well. "You just have to ignore what everyone else is saying. He knows how good he is. I am sure everyone else knows how good he is. "He wants goals. Every striker wants goals. So he has just got to ignore it and focus on himself which I am sure that he will do as he is an unbelievable player and a great person as well." Alli also said that his Spurs and England teammate can catch ​Liverpool's goalscoring machine Salah in the race for the Golden Boot this season. "I wouldn’t put it past him," he added. "We have seen what he has done before. Even last year, against Lukaku. It was a tough competition. He finished the season strongly with the amount of goals he scored. "But Salah is in great form as well. That can’t be H’s [Harry Kane's] main focus. We are a team. We play together. If he does it he does it and we will all be happy for him. But I don’t think we can focus too much on it."